The Canine Influenza Vaccine is now available ! Spring low cost vaccine clinics Thursday and Saturday! Pet Stop Vet is proud to provide a charitable financial fund generated by our generous and caring clientele! We collect donations to be used for pets in need of medical and surgical procedures and care when finances are limited. I graduated from The New York State College of Veterinary Medicine at Cornell University in 1989 and took over the Pet Stop Veterinary Clinic several years later. We provide a full-service clinic providing affordable, quality care to cats, dogs, birds, reptiles and pocket pets. And we’ve been doing it for over 30 years. I’ve been helping the pets of Utah since I graduated, and practicing at Pet Stop for 17 years. Come visit us and check out our facilities, even if your pet is well. We’re always happy to show you around. Our clinic is conveniently located in downtown Salt Lake City, minutes from the freeway. I graduated from The New York State College of Veterinary Medicine at Cornell University in 1989 and took over the Pet Stop Veterinary Clinic several years later. We provide a full-service clinic providing affordable, quality care to cats, dogs, birds, reptiles and pocket pets. Pet Stop Veterinary Clinic offers the best pricing on spaying and neutering. We know the health benefits to your animal, and want what’s best for your cat or dog. So we’ve prioritized spaying and neutering and brought our prices down so that anyone can afford it. Enjoy the benefits for you and your pet starting right away! Call to schedule an appointment, or click below to learn more. At Pet Stop Vet Clinic, we provide for your pet a full range of dental, medical and surgical services including orthopedic, ophthalmological, dermatological, reproductive, nutritional and behavioral consultations. Check Out Our Pet Care Plans! Take amazing care of your pet. Get vaccine boosters, unlimited exams, deworming, and much more, all for one low yearly price. Exotic pets can be quite a challenge to own, but with a good environment and balanced nutrition they can be fun and educational. We love seeing Exotic Pets!! This fund will be used for pet owners that can not afford the necessary treatment for their pet. Pet Stop Vet will match the donated amount to use from the fund for pet care! If you are interested in making a donation, please contact our team at (801) 531-0662. They were very helpful with my terminally ill cat. Their facilities are well maintained and clean. Pet Stop Veterinary Clinic is a full service small animal and exotic animal hospital in downtown Salt Lake City. We provide a broad range of services for cats, dogs and exotic pets. Our trained staff is here to help answer your questions on the telephone and via email with our new web site. We provide health care and products for the pets at an affordable price. Health care begins for your pet with puppy and kitten examinations and vaccinations as well as complimentary examinations for pets adopted from various animal welfare groups such as the Humane Society of Utah and Animal Shelters in our our region. Spaying and neutering is done routinely and is highly recommended to make your pets life healthier and happier.. Unfortunately, most traumatic events occur in un-sterilized pets. House Cats can be safely and painlessly declawed with current techniques. Annual check-ups and immunizations for common contagious diseases such as Parvovirus is recommended for all pets. We vaccinate for Rabies and provide certificates for licensure. Dental care begins early with good nutrition and oral hygiene and we routinely clean pets teeth as well as more advanced treatments for periodontal disease. Diagnostic testing with our on-site laboratory and imaging such as X-Ray, ultrasound and endoscopy is available for an accurate diagnosis and compassionate treatment plan for our pets.Nutritional counseling and prescription diets for special needs are part of our wellness approach. 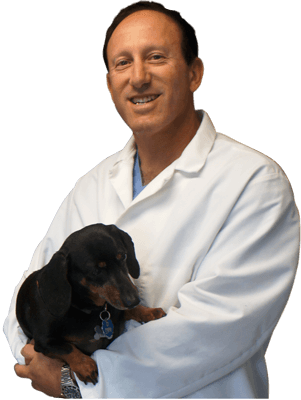 Surgery ,both soft tissue and orthopedic, conducted daily for pets needing trauma, gastrointestinal or cancer treatment. Pain relief is a big part of animal care now and both oral and injectable safe effective medicines are used. When the time comes humane euthanasia counseling and cremation services can be arranged. We would love to be your Salt Lake City Veterinarian.